A Bankruptcy Lawyer, Trial Lawyer and Estate Planning Lawyer practicing in complex business bankruptcies, Personal bankruptcies, commercial litigation, estate planning, probate and corporate law for nearly 17 years. Orange County Attorney Christopher P. Walker and his firm focus on providing cost-effective, expeditious, and results-oriented legal service, as he defends California clients in a wide range of commercial disputes, probate matters as well as estate planning. Christopher P. Walker is an attorney who offers a complimentary initial consultation at his Anaheim Hills office located near Anaheim, Orange, Villa Park, and Yorba Linda near the intersection of State Routes 55 and 91 in Orange County, California. Christopher P. Walker has a strong academic background, having earned a law degree with Merit from the Western State University College of Law including and Emphasis in Taxation and his undergraduate at the University of California, Irvine. He is a member of the bar in California and is admitted to practice before the U.S. Court of Appeals for the Ninth Circuit. A meticulous and dedicated trial attorney with extensive experience in business, trade secrets, and securities litigation and appeals, Mr. Walker has successfully handled a number of high dollar cases. He is accomplished at handling protracted cases and those that present unusual problems, where a premium is placed on professionalism. 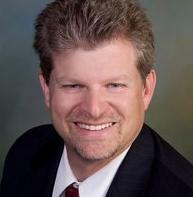 Litigation planning, jurisdictional issues, choice of law, complex discovery, case management and scheduling, coordination of counsel and litigation steering committees, joiner of parties, consolidation and severance of claims, counterclaims, cross claims, and third-party complaints, summary judgment, and class action certification are merely some of the issues Christopher P. Walker readily addresses. Christopher P. Walker offers almost 15 years of practical experience in the development of comprehensive estate plans, tax strategies, litigation, bankruptcy and probate administration for clients throughout Orange County, including Anaheim, Anaheim Hills, Villa Park, Orange and Yorba Linda. Attorney Christopher P. Walker understands the importance of prompt communications and direct contact with clients, and offers a level of personalized attention often not available when working with large firms. Another benefit to clients of a smaller firm is the cost savings a small firm can provide because of its lower overhead. However, Christopher P. Walker is able to bring in all the resources needed on any case, such as forensic accountants, tax experts and other legal specialists. Because these resources are scalable in a small firm, you only pay when you need them. Christopher P. Walker's focus is always on premium quality. Chris is an active member of the Orange County Bar Association and the Riverside County Bar Association as well as the State Bar of California. Chris and his wife Laurie were both raised in the Southern California area and are currently raising their daughter Paige at their home in Anaheim, California.